There is really no better way to describe love than through the word loyalty, because loyalty defines the unconditional. Even when your teammates and friends around you are failing, you have to be an encourager — not a discourager. Ultimately, the difference between the two comes down to a choice, and that is a choice each of us must make. Will you approach life as a creator or as a critic? A lover or a hater? A giver or a taker? Your attitude influences your decisions the most. Therefore, cultivate the right mindset to stay positive and come out on top. To be loyal, you have to look past the negatives to see the positive. It all comes down to perspective. This perspective is what raises the average to the good and the good to the better and the better to the best. If you want to win, if you want to be successful, you need to live your life to win. You need to play each game to win. Each play, you and your teammates have an opportunity to win. It is the small battles that win the most, and these small battles continue all the way through. You must go from start to finish. 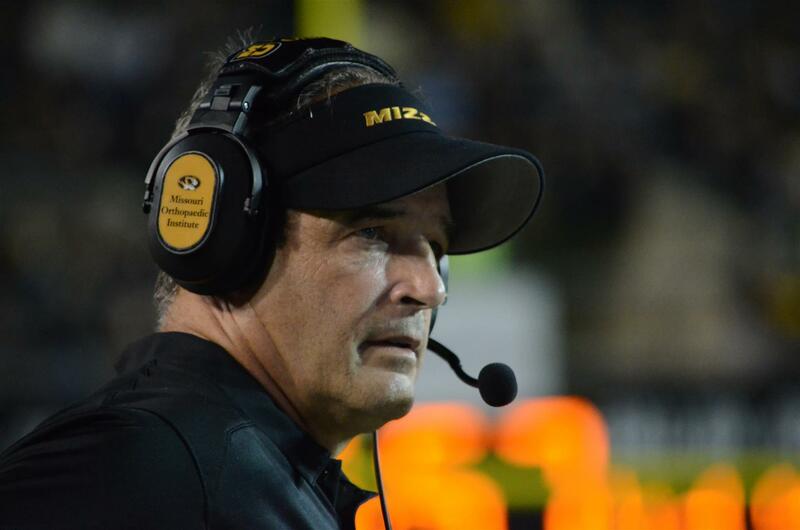 All decisions within the Mizzou football program revolve around one decision: winning. That means winning both in the classroom and on the field. To do this, you must plan to win. If you fail to plan, you plan to fail. The plan to win is time-tested and infallible. First, protect the football. “It’s all about the ball.” Win the turnover margin. Second, you need great special forces. Win the kicking game. Third, Mizzou DOES NOT beat Mizzou. This is done through the elimination of mental errors and allowing the fewest penalties possible. Can Mizzou win the game in the first quarter? NO. Can Mizzou win the game in the second quarter? NO. Can Mizzou win the game in the third quarter? NO. Can Mizzou win the game in the fourth quarter? YES! Indeed, winning is fragile. However, it doesn’t happen by accident. There is no such thing as luck. Winning is a result of investment, attitude, and confidence.